Ultra All Inclusive 5 star Paradisus Varadero Hotel stands in a paradisiacal place, on the seaside, in the best area of the beautiful beach of Punta Frances, harmoniously integrated into a natural environment of gardens and exuberant vegetation in Varadero. 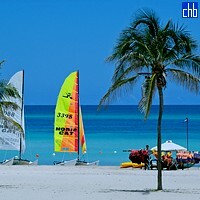 Paradisus Varadero is highly recommended for families, weddings and honeymoons! 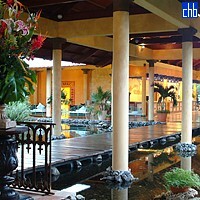 It is a very luxurious resort with very high standards of service. There are no standard rooms, only beautiful and comfortable suites with terraces and views of doubtless value of the gardens and the sea; plus only one, very elegant Garden Villa for those who prefer exclusivity and privacy. 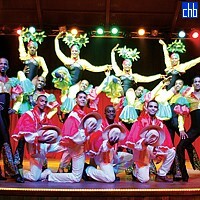 Hotel Paradisus Varadero offers a very wide range of day and night entertainment programs including shows, dancing and Spanish classes, cocktail-mixing lessons, karaoke, beach nights and many more. 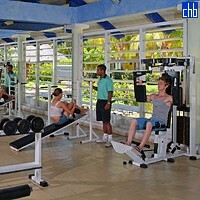 Facilities of the hotel include number of restaurants and bars offering national and international food and drinks; gym, tennis courts, sauna, hydro massage, mud therapy, Jacuzzi… These are only small examples of the days that hotel Paradisus Varadero has in store for its guests. Enjoy the wonders of this paradise of luxury and comfort. 323 Junior Suites equipped with every comfort and functional design. They are offering a magnificent view of the garden. There are 85 very spacious (40.00 sq. 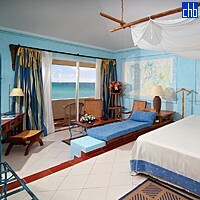 m.) junior suites with a marvellous ocean view. 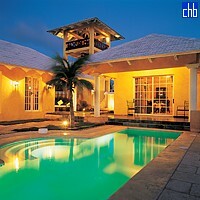 They are designed with style and luxury and have a bedroom, living room and a balcony.